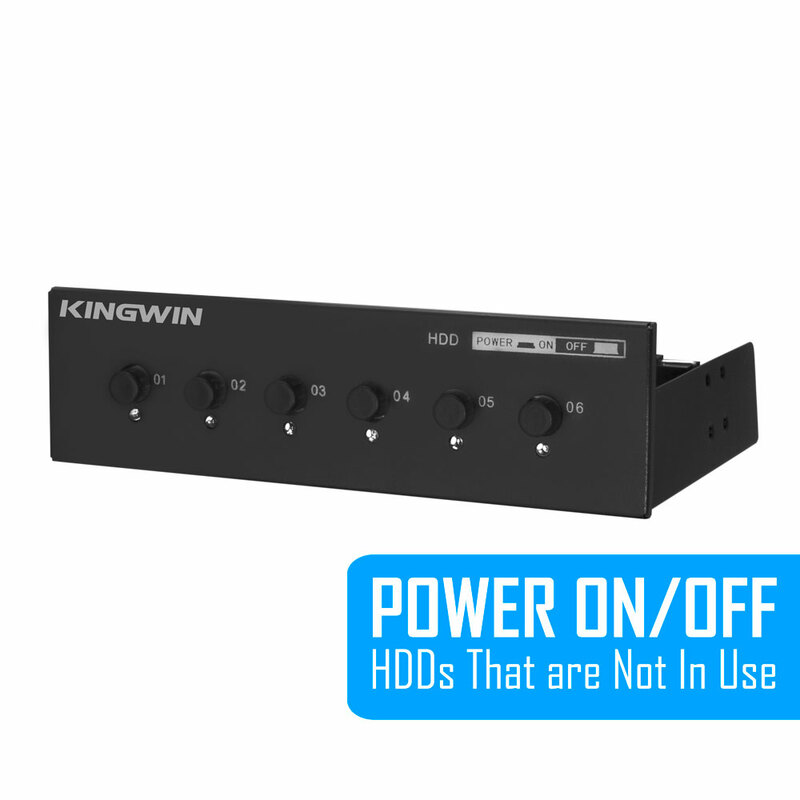 Hard Drive Power Switch HDD-PS6 | KWI Technology Inc. 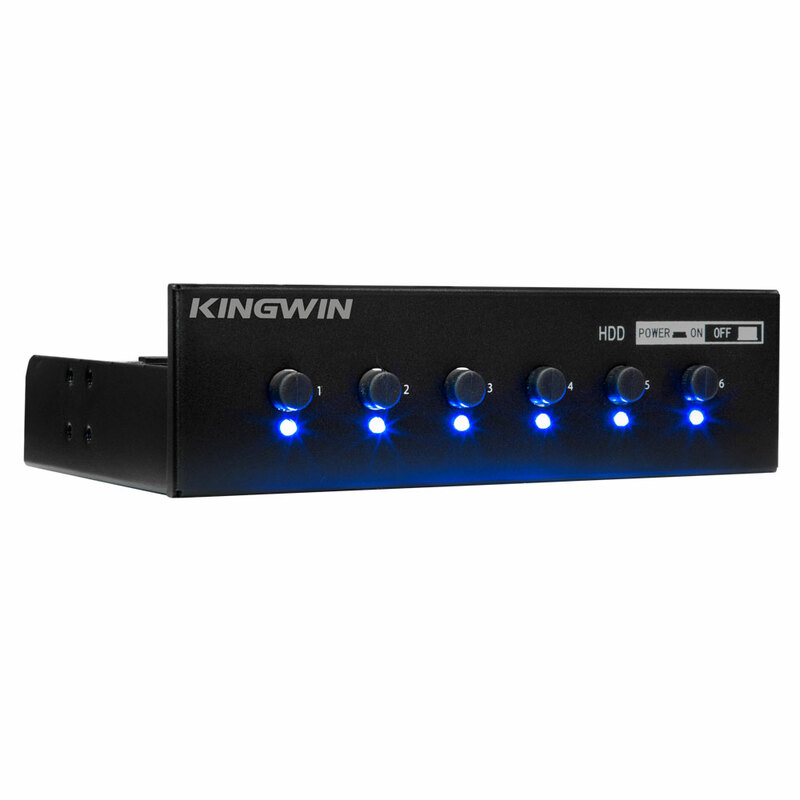 The Kingwin HDD-PS6 allows you to individually control the power of up to six internal SATA HDD or SSD drives. 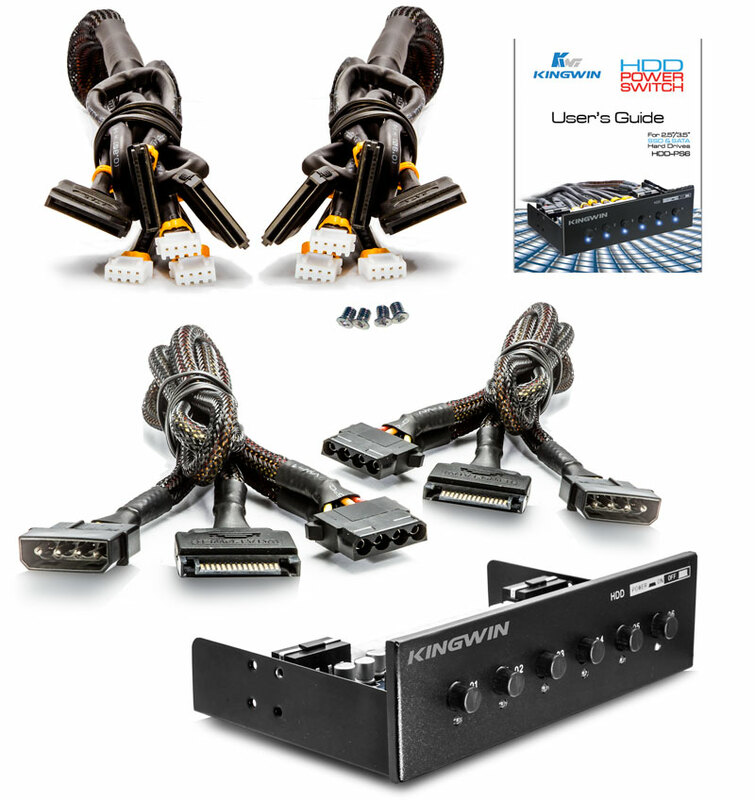 The HDD-PS6 comes with two sets of IDE (4-pin) and SATA (15-pin) power extension cables that you connect to your computer’s power supply as input power. 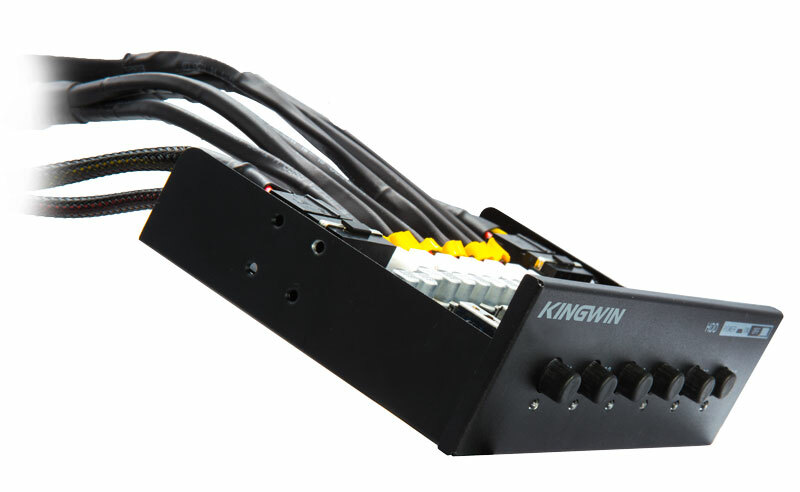 The HDD-PS6 then provides six separate output SATA power (female 15-pin) cables that you connect to your SATA drives. 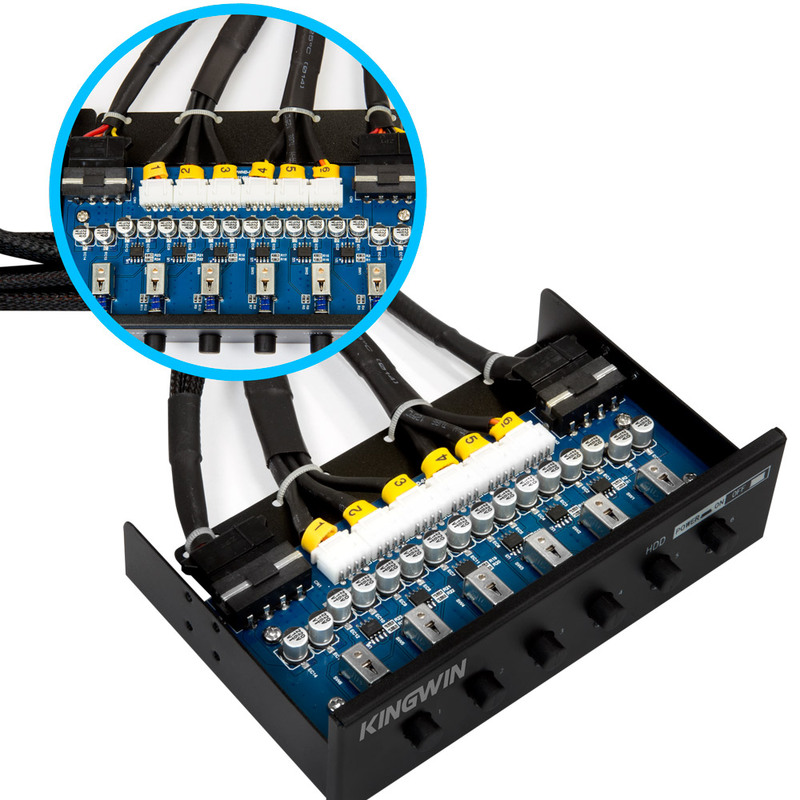 You then simply plug the SATA data cables from your motherboard to your SATA drives to complete the installation and for your computer to access the SATA drives. 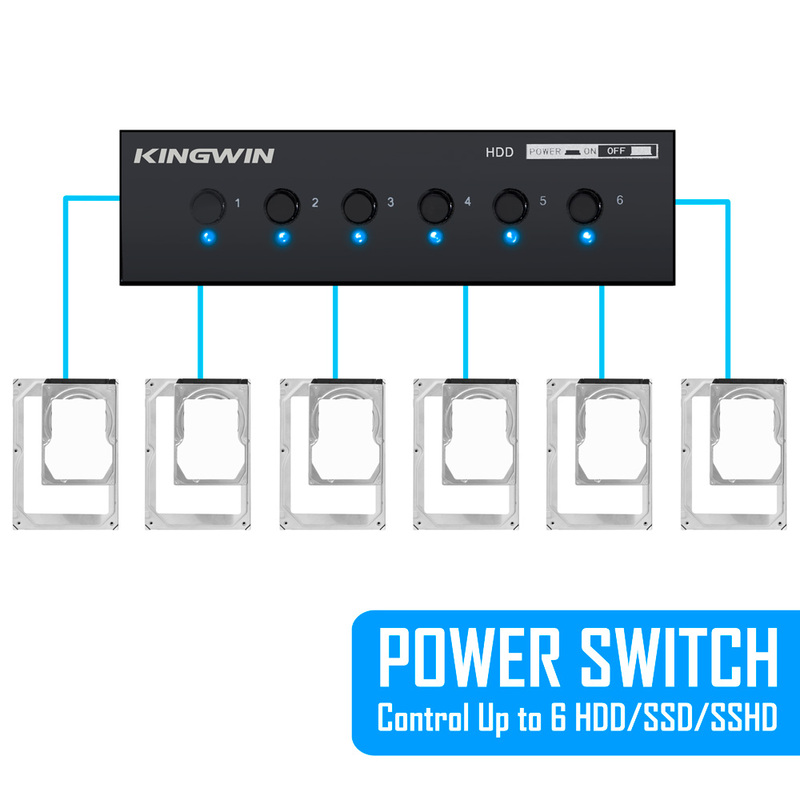 You can now conveniently control the power of every SATA drive in your computer using the HDD-PS6. 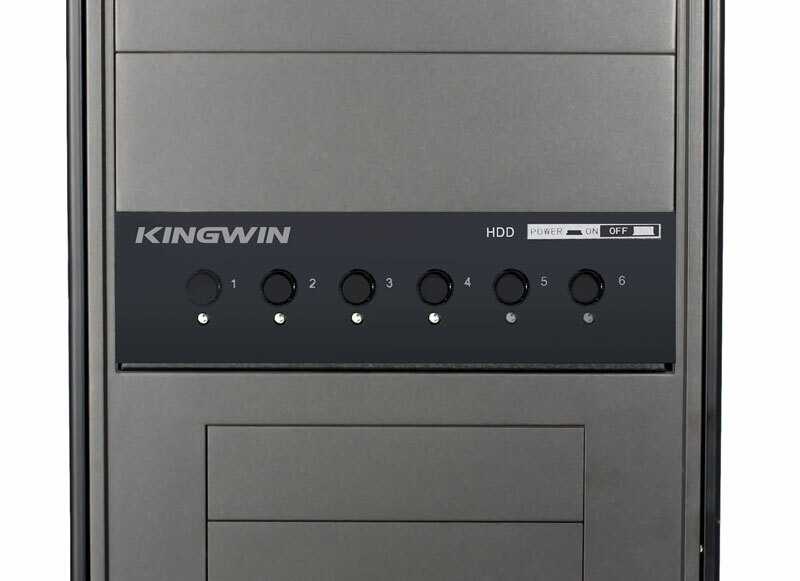 Do you have a desktop/server PC that has two or more internal SATA hard drives installed for data storage and backup, or for booting to different operating systems? 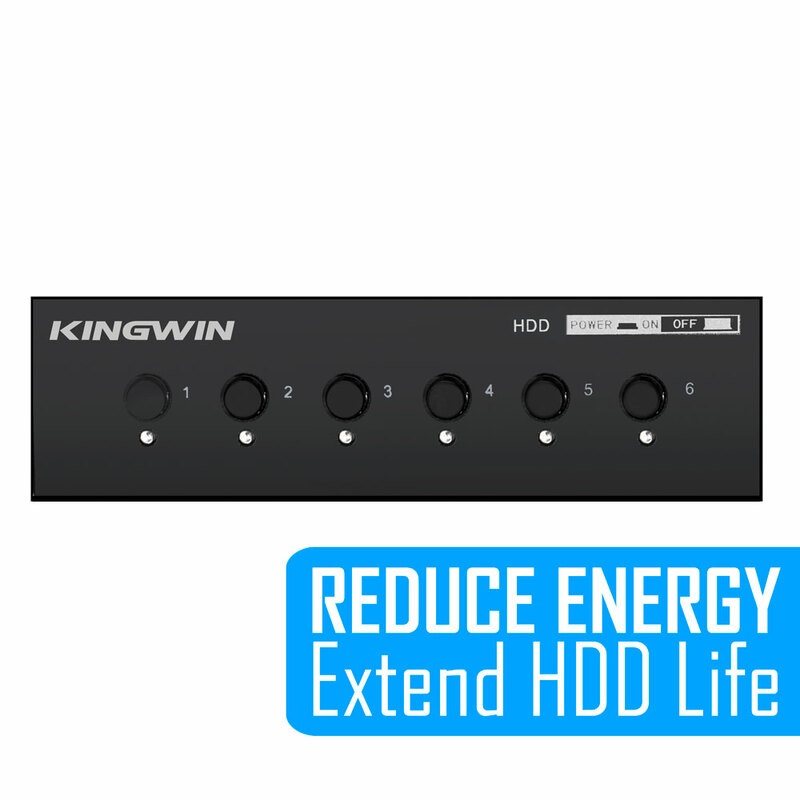 Then the Kingwin HDD-PS6 is what you need! 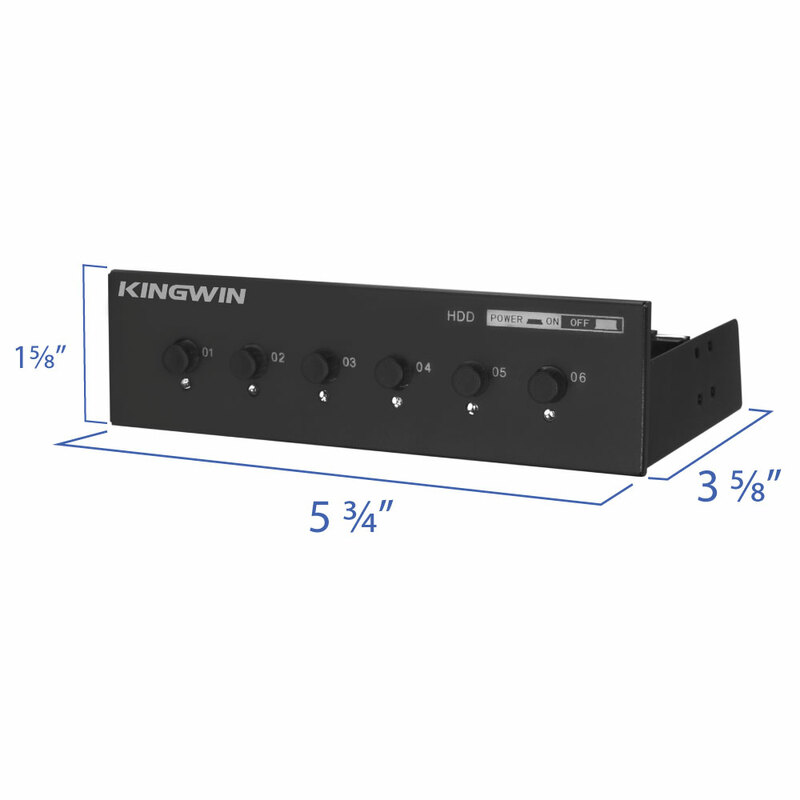 It is a 6-in-1 SATA drive power switching control box that fits handsomely into your computer’s front 5.25” bay slot. 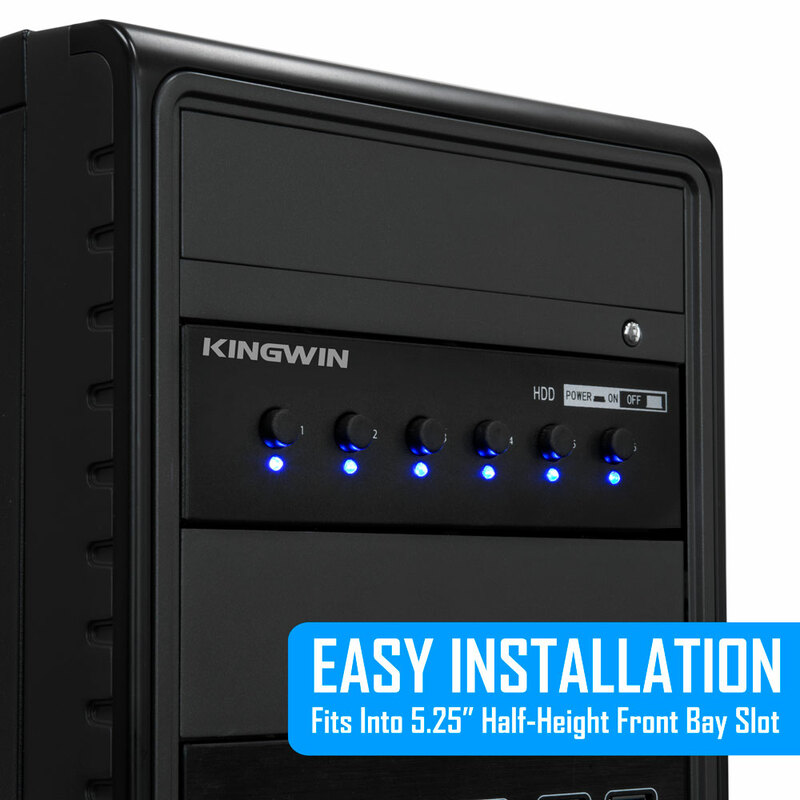 It allows you to attach your internal SATA drives up to six HDDs or SSDs, and use the external power buttons to conveniently switch the power of each SATA drive. 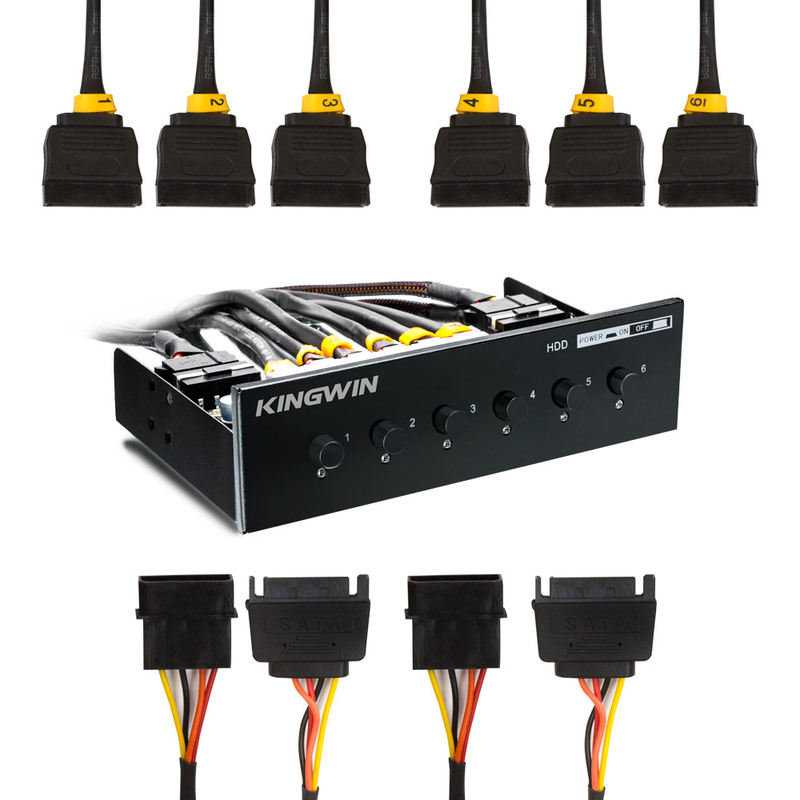 By turning off the SATA drives that are not in used, you reduce the power consumption of your computer, as well as noise & vibration, and also extending the lifespan of your SATA drives. Using the power buttons at the front of the HDD-PS6, you can easily choose and control which SATA drives you want to power on or power off. 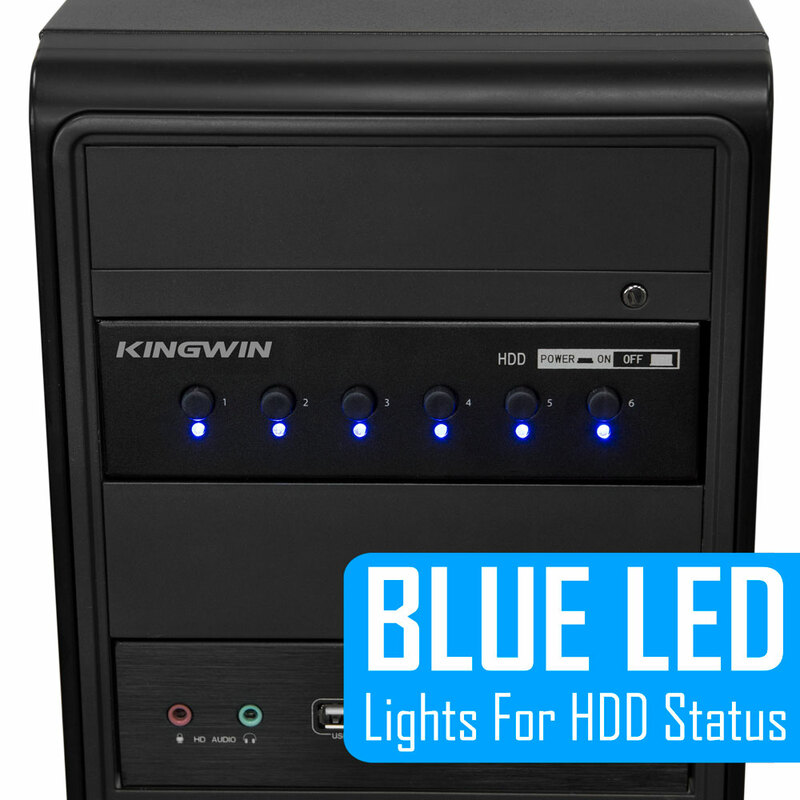 The blue LED indicators on each button lets you quickly see which SATA drive power is turned on or off. You can install different operating systems on separate SATA drives as well as separate backup storage for work and personal files. The HDD-PS6 is a perfect addition for every PC enthusiast. Set BIOS to AHCI mode during installation to support SATA Drive plug-and-play.